The vision to make London a green capital of the world? One of the overlooked legacies of the London Olympics is how the Olympic Park has become home to a protected bird species. The huge Olympic Media Centre, later converted into 900,000 square feet of business space, was designed with a biodiverse green roof which has become home to the red-listed black redstart. Protecting birds in big cities rarely makes front-page news. But the example of the black redstart shows the potential of London’s roofs to improve the environment. And in the run-up to the Mayoral election this May, it could even be a key issue. Making London one of the greenest capitals on earth – the Mayoral race? For both the primary Mayoral candidates, the real question is not whether London should go green, but rather, who can convince voters that they can make London go green the fastest. But do either them truly have the vision to make London one of the world’s green capitals? A 2015 poll by climate campaigners Here Now suggested Zac Goldsmith was winning the green vote. And Goldsmith’s 2011 Business Green Leaders Award – alongside his high profile on many environmental issues – does suggest his green credentials are sound. Sadiq Kahn, meanwhile, has gone out strong with promises of planting two million new trees for the capital and a city run entirely on clean energy within a few decades. One analyst suggested last month that it is in fact Khan who is getting eco-voters on his side. Both candidates, however, are frankly a long way from showing enough ambition. 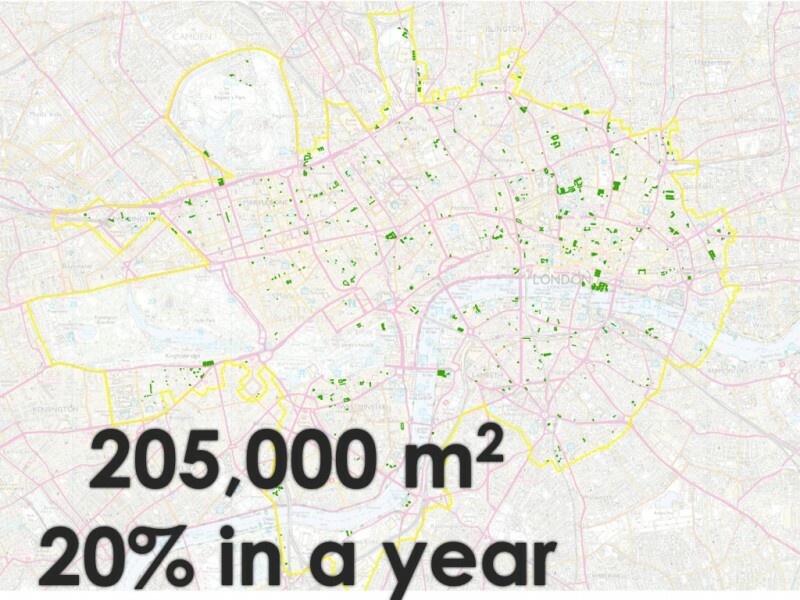 Estimates from Livingroofs.org that have been in the public realm for a number of years indicate that a staggering 10 million square meters of roofs in London could be green tomorrow – if we only went up there and planted the wildflowers. Now that’s the scale of aspiration needed to really turn London green. On top of this, the clincher for many is that at least a third of these green roofs could also fit solar panels – so-called “biosolar” roofs. Roofs that are biosolar make solar panels more efficient by cooling the photovoltaic technology. If we managed to install more than 3 million square meters of biosolar roofs, we could provide the capital with 13.5 million KwH of cooled, clean energy. The only thing that is holding us back is a lack of ambition and investment. Indeed, green roofs are already popping up all across London, as this map shows. Last year, we saw a 20 per cent increase in green roof installations – including a biosolar roof on Standard Chartered Bank’s head office. So rolling out green roofs is more than feasible; we just have to up the tempo. 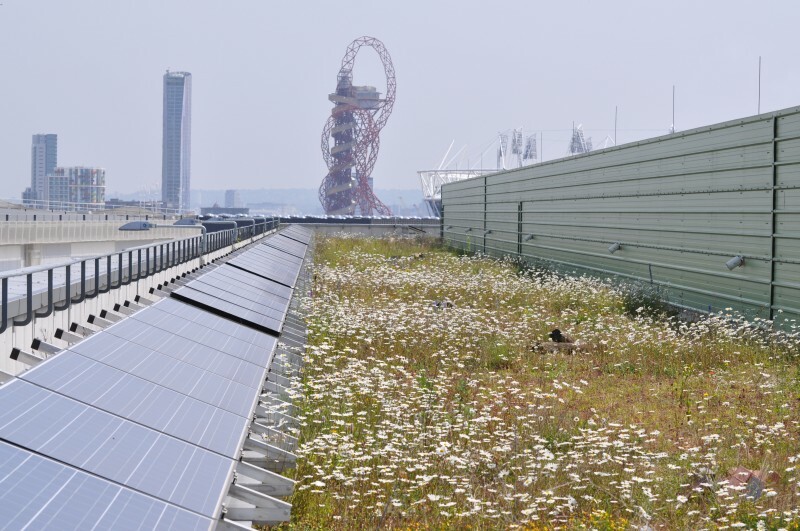 Green and biosolar roofs are central to the work of London’s Green Infrastructure Task Force set up by the GLA last year. Greening our city will also help London become more resilient to climate change, easing the effects of the Urban Heat Island and intense summer storms. If we were to green up the city’s roofs we certainly would be helping to create a natural capital and perhaps even the world’s first National Park City. Where we need the Mayoral candidates to step up now is with concrete commitments to making the city greener, steering London on a path to being a green capital. With such a proliferation of green roofs in the city already, London is poised to become one of the green capitals of the world. Combining green lungs and solar panels on the city’s roofs is one of the most sensible environmental decisions we can possibly make. Now it’s up to one of the Mayoral candidates to make it a reality.